Let the dealer draw additional cards until his hand exceeds 21. 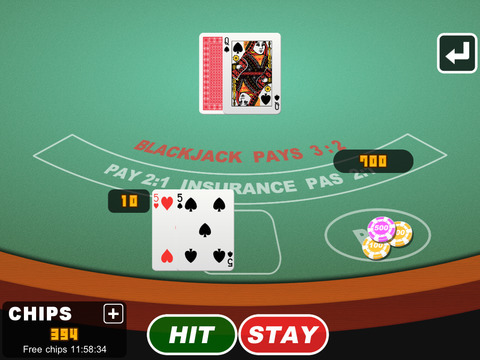 The player or players are dealt an initial two-card hand and add together the value of their cards. Face cards (kings, queens, and jacks) are counted as ten points. 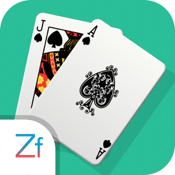 A player and the dealer can count his or her own ace as 1 point or 11 points. All other cards are counted as the numeric value shown on the card. 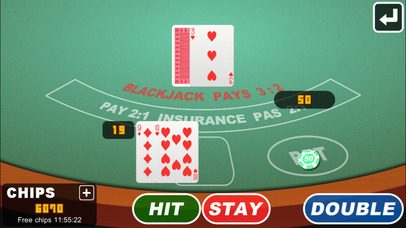 After receiving their initial two cards, players have the option of getting a "hit", or taking an additional card. 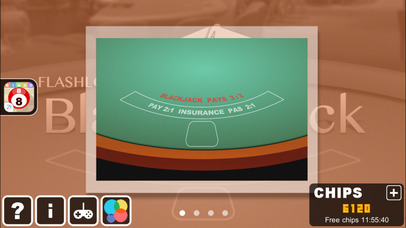 In a given round, the player or the dealer wins by having a score of 21 or by having the highest score that is less than 21. Scoring higher than 21 (called "busting" or "going bust") results in a loss. 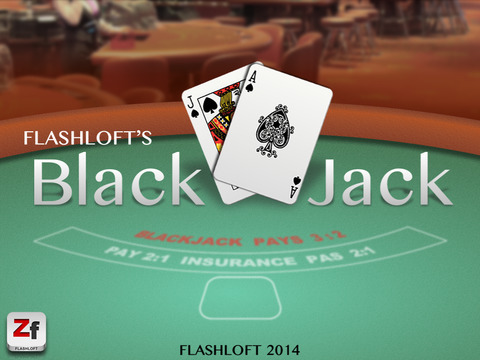 A player may win by having any final score equal to or less than 21 if the dealer busts. 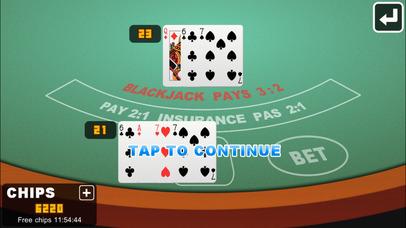 If a player holds an ace valued as 11, the hand is called "soft", meaning that the player cannot go bust by taking an additional card; otherwise, the hand is "hard". The dealer has to take hits until his or her cards total 17 or more points. (In some casinos, the dealer also hits on a "soft" 17—e.g., an initial ace and six.) Players win if they do not bust and have a total that is higher than the dealer's. 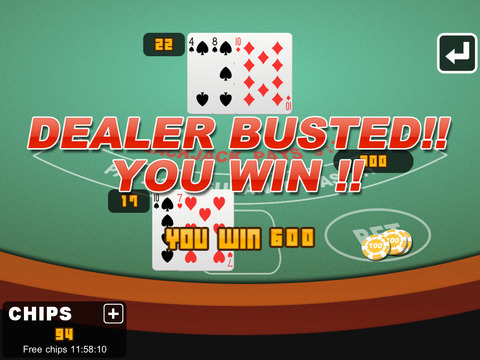 The dealer loses if he or she busts or has a lesser hand than the player who has not busted. If the player and dealer have the same point total, this is called a "push", and the player typically does not win or lose money on that hand.